As a result of the planning approval process, the shortest route through the Thuringian Forest was chosen for the new Ebensfeld-Erfurt line. The route taken for this alternative was optimised with regard to the trackwork, contours (gradients) and the construction of the bridges and embankments. In addition to complying with minimum radii and maximum gradients for the line, the numerous tunnels along this section of the line avoid any impact on the natural environment above them. In addition, by lowering the line at a number of points and extending tunnels, further valuable biotopes were left largely unaffected. The viaducts that cross the valleys in this section of the line are as long as technically possible and their individual spans are also as long as possible to minimise their impact and the extent to which they encroach into the natural environment. For example, once the Grümpen Viaduct is completed, together with the Froschgrundsee Viaduct it will have one of the longest spans of any concrete arch railway bridge in Europe. Construction traffic and vehicles transporting materials in bulk will primarily use roads built specifically for construction traffic outside of built-up areas, thus avoiding roads through built-up areas. All construction work will be monitored at all stages by a team charged with minimising its ecological impact. This team will be commissioned by DB ProjektBau to implement measures during the construction work that will protect and prevent damage to the environment. Any remaining encroachments into ecosystems and landscapes will be counteracted by conservation measures designed to compensate for damage or replace what is lost. To this end, hedges and trees will be planted in over 1,000 hectares of land, spruce woodland will be transformed into mixed deciduous woodland, and extensive grasslands and mountain pastures will be nurtured. In addition, in selected individual areas special measures will be carried out. These will include creating grassland using hay-mulch and Heudrusch methods of seeding and providing living space for birds and bats. For example, autochthonous plants are already thriving along the completed sections of the line west of Erfurt near the Augustaburg Tunnel. 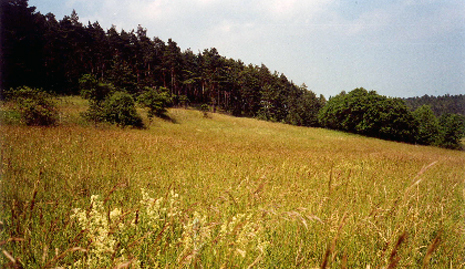 In a costly procedure, seeds for these plants were obtained from special areas in Thuringia, thus ensuring that they correspond genetically to the indigenous flora.